"Muy bien todo. Me encantaron los productos"
Lapis lazuli chips strands. 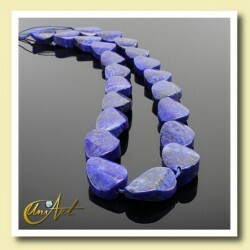 Each strand measures about 80 cm and contains about 260 chips of lapis lazuli. Strand of lapis lazuli twisted oval beads. 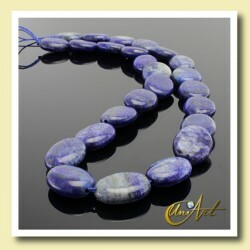 Each strand measures 40 cm 22 contains lapis lazuli beads and weighs approximately 76 grams. This strand has twisted oval beads of lapis lazuli measuring 18 x 13 x 7 mm. Strand of oval lapis lazuli beads. 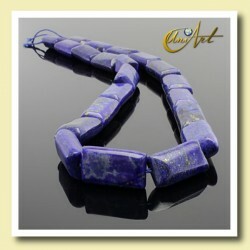 Each strand measures 40 cm contains 25 lapis lazuli beads and weighs approximately 49 grams. This strand has oval lapis beads measuring 16 x 12 x 5 mm. Strand of lapis lazuli beads lozenge format. Each strand measures 40 cm contains 22 lapis lazuli beads and weighs approximately 61 grams. This strand has lapis lazuli beads at lozenge format measuring 14 x 14 x 6 mm..
Strand with square lapis beads, 16mm. Each strand of lapislazuli, measuring 40 cm, containing 24 beads and weighs approximately 87 grams. This strand of lapis lazuli has square beads of 16mm x 16 mm x 5,5 mm. Strand of lapis lazuli beads lentils form, 12mm. Each strand of lapis lazuli measures 40 cm, containing 33 beads and weighs approximately 48 grams. 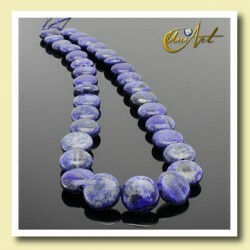 These lapis lazuli beads have a lentils format of 12 mm x 5,5 mm. 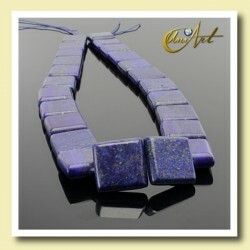 Beads of lapis lazuli Rectangle form. Each strand of lapis lazuli measures 40 cm, 21 containing beads and weighs 61 approximately grams. 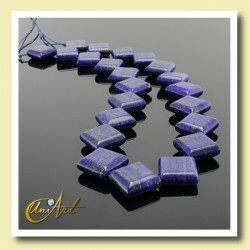 These lapis lazuli beads, have a rectangular format of 18 x 10 x 7 mm. Strand of 10 mm round beads of lapis lazuli, to make jewelry and costume jewelry. Each Strands measured 40 cm, contains 40 lapis round beads and weighs approximately 70 grams. Lapis lazuli round beads, to make jewelry and costume jewelry, 12 mm balls. Each Strands measured 40 cm, contains 33 lapis round beads and weighs approximately 92 grams. 14 mm lapis lazuli round beads, to make jewelry and costume jewelry. 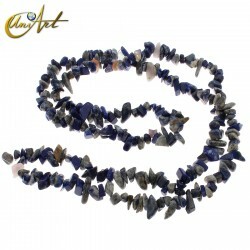 Each Strands measured 40 cm, contains 30 lapis round beads and weighs approximately 116 grams. Strands lapis lazuli, to make jewelry and costume jewelry, 16mm round beads. Each strands measured 40 cm, contains 25 lapis beads and weighs approximately 153 grams.